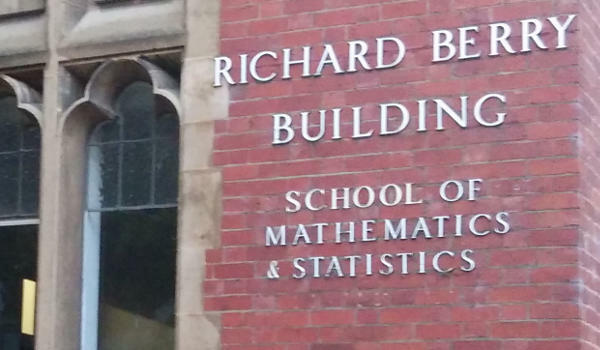 The University has renamed the Richard Berry building, which houses the Department of Mathematics and Statistics, in honour of the late Professor Peter Hall, who died earlier this year. Hall held degrees from the University of Sydney, University of Oxford and the Australian National University; and spent his academic career at the Australian National University, University of California at Davis and the University of Melbourne. He was a Fellow of the Australian Academy of Science and Australian Academy of Social Sciences; a Fellow of the Royal Society; and a foreign associate of the U.S. National Academy of Sciences. The building was formerly named for Richard Berry, the University’s Professor of Anatomy from 1903 — 1929, whose support for eugenics has made the former choice of name for the building controversial in recent years. Although the issue of the building’s name has attracted mainstream media attention, the on-campus campaign to get it changed has been low-key throughout 2016. The change will also be welcomed by new students and visitors to campus, eliminating the perpetual confusion between the Redmond Barry and Richard Berry buildings. The University formally announced the change of name on Friday, although the 2017 timetable has reflected the new name of the building since it was released two weeks ago, briefly confusing some students.